Give your friends a surprise by making a special magazine cover design with your friendship photos for them. 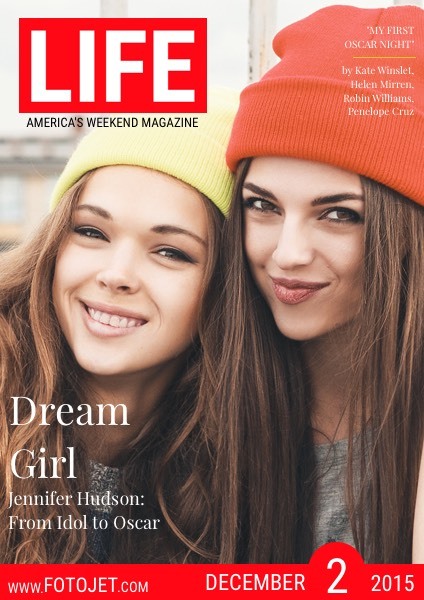 It is easy to create with the magazine cover maker FotoJet. Just choose some photos from your computer or Facebook to start. Then use photo editing tools touch up it to get a stunning photo effect. Next, add your sweet words you want to say to your best friends and decorate it with stylish fonts and colors. There is no doubt that this design will stand out from some others.